Separate the yolk from the white with ease. Made of durable plastic. This beautifully designed Egg Separator lets you separate egg whites from egg yolks with ease. 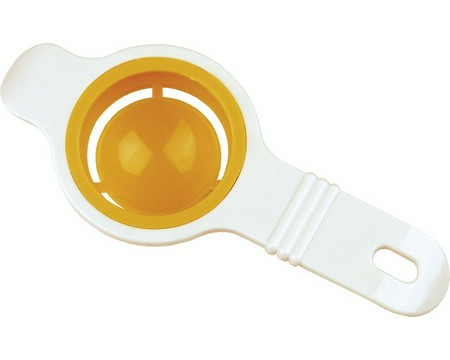 The Egg Separator is made from sturdy plastic and is very easy to clean. Easily separates egg white from the yolk. Simply crack open the egg into the separating dish; the white will run through leaving behind the yolk in the dish, ready for further use.